Instructions for Ipad access below. At any time, however, you can also access the online textbook on a home computer. 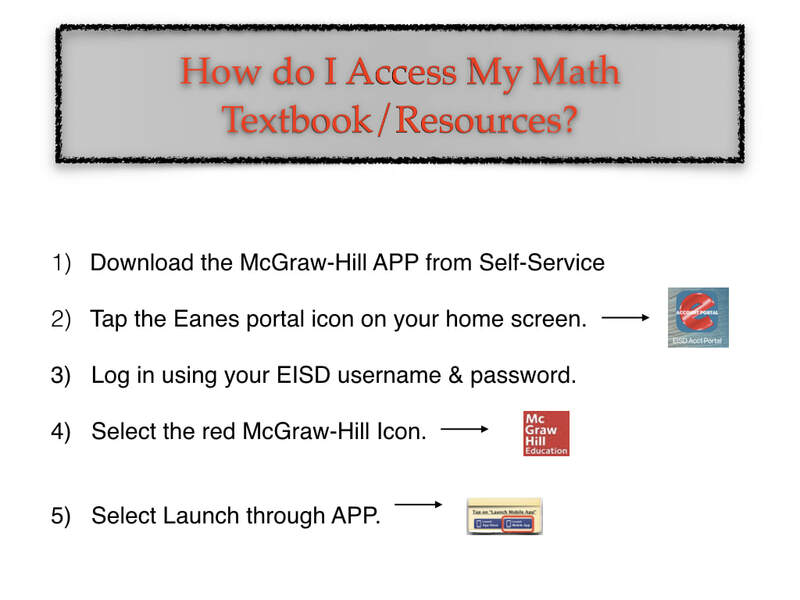 To do this, you must first go to Westlake's homepage to select and log in through the Eanes account portal. You will then have access to your textbook. Besides the online textbook, you will find video tutorials, interactive online quizzes, additional examples and more.